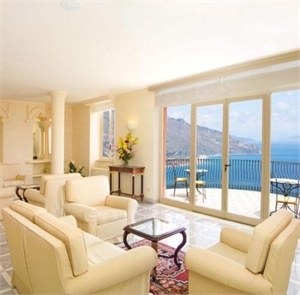 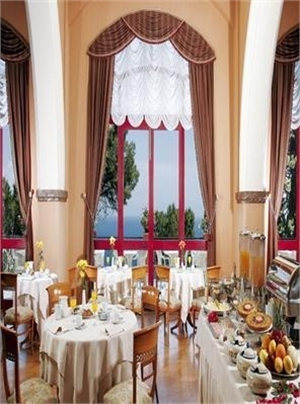 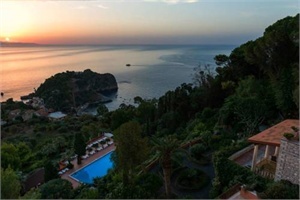 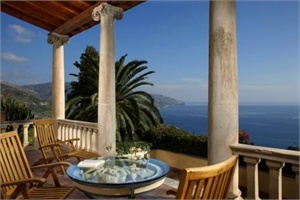 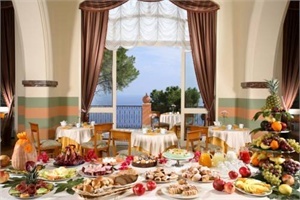 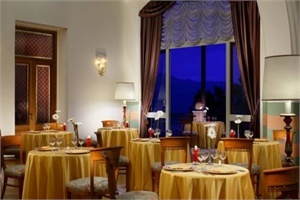 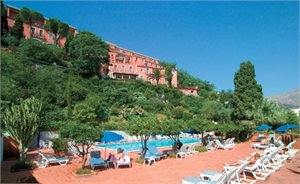 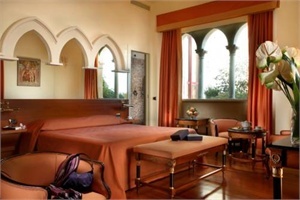 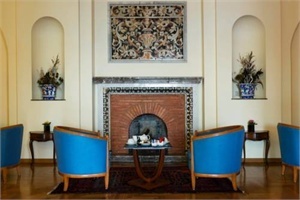 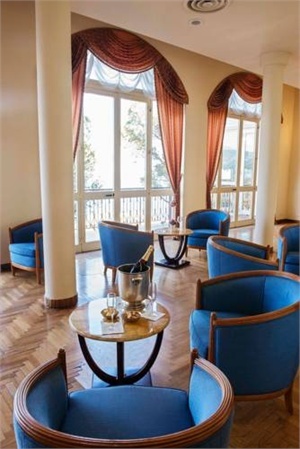 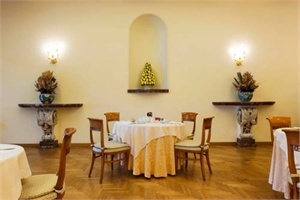 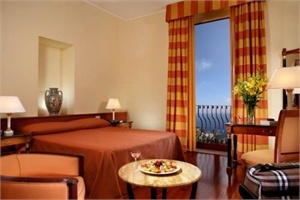 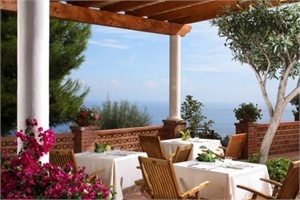 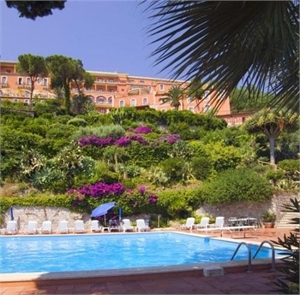 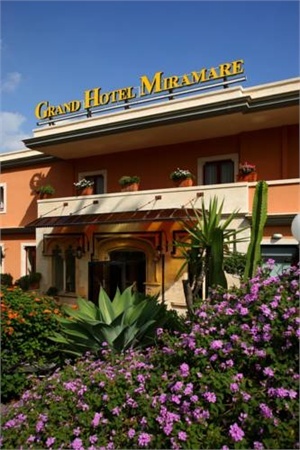 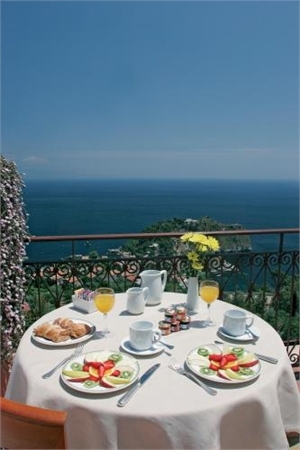 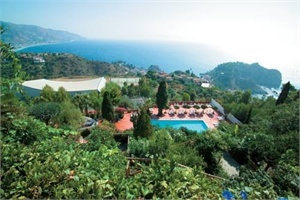 Grand Hotel Miramare Taormina ME - Book now! 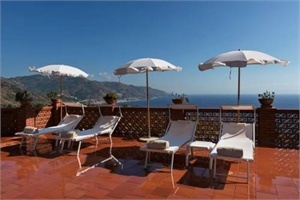 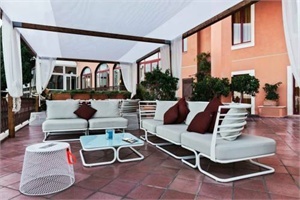 Positioned just 400 metres from the centre of Taormina, this hotel is a great starting point for exploring small streets full of charm and tradition, as well as numerous monuments. 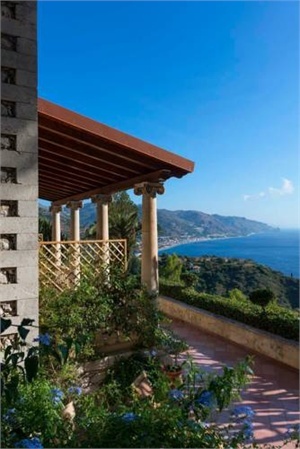 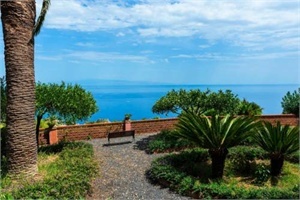 The old villa is set within a verdant park and offers a spectacular view of the Messina Straight and Calabria. 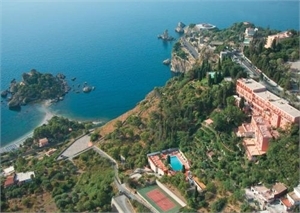 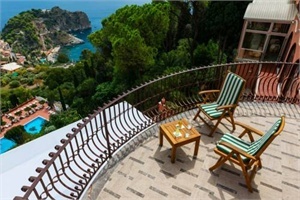 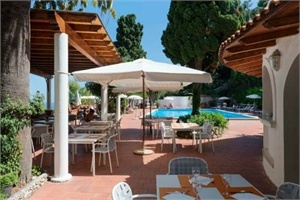 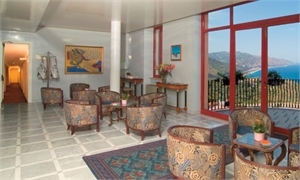 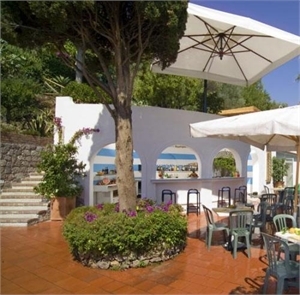 The hotel is located in close proximity to Taormina Beach, which is accessible via the nearby cable-way and bus service. 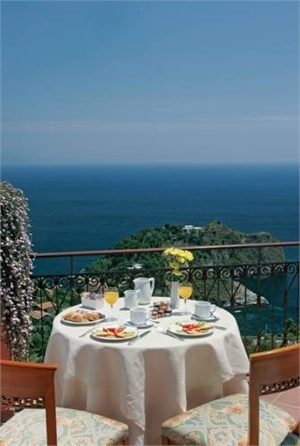 Moreover, a wide selection of excursions and wine and food packages are available on request. 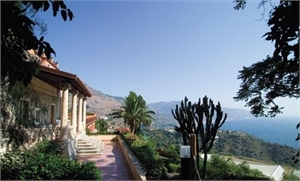 Why not start your day by strolling to the splendid Greek theatre with its breathtaking panorama over Naxos bay and Etna and a calendar full of shows? 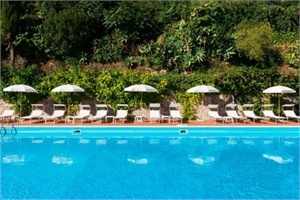 When you are not exploring, relax on a sun-bed beside the swimming pool or enjoy a game of tennis on one of the hotel’s courts. 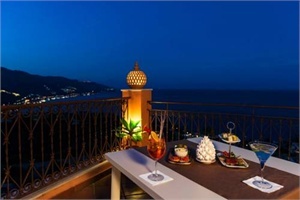 End the day by watching the sunset from the panoramic bar and restaurant. 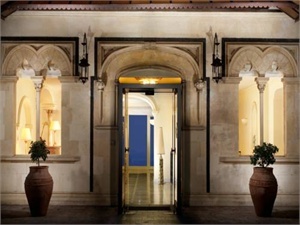 The patrician villa, built in 1922, was transformed into a hotel in 1926. 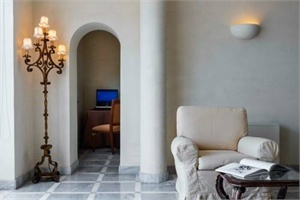 During this time, the building has gone through several renovation projects, the latest one being in 2006, to keep the old charm of an antique villa with its décor and style combined with all modern comforts to assure a relaxing holiday. 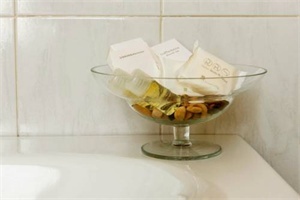 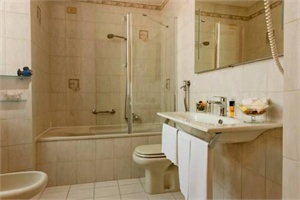 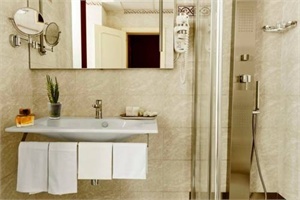 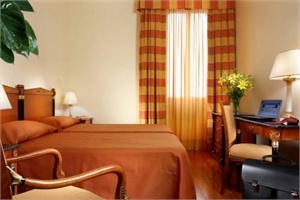 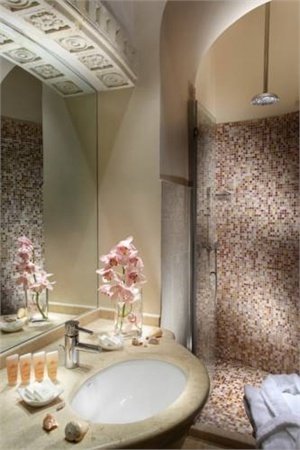 All 68 rooms are quiet, bright and equipped with all common facilities. 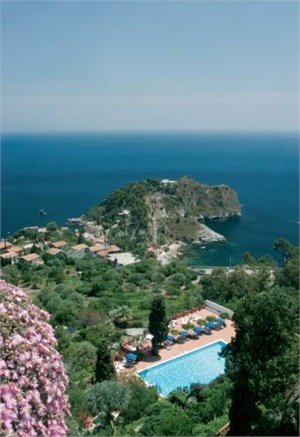 By Train: Taormina Giardini station is 3 km from the hotel. 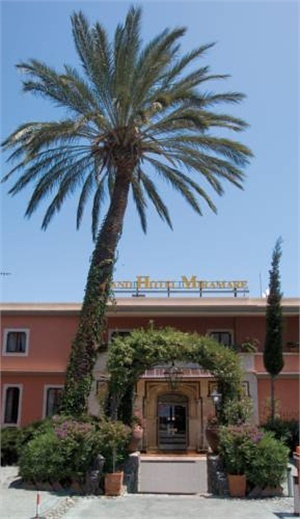 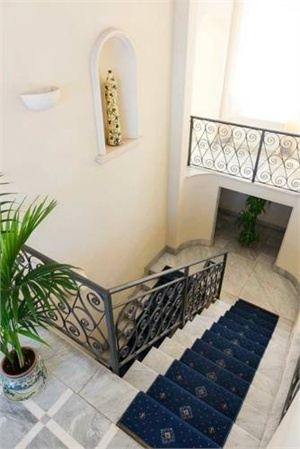 By Plane: Catania Fontanarossa airport is 50 km from the hotel. 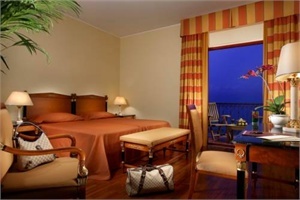 By Boat: Catania port is 38 km from the hotel and Messina is 35 km away. 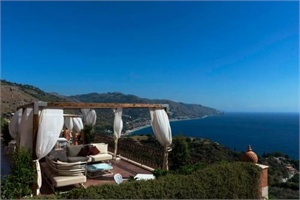 Taormina is a comune and small town on the east coast of the island of Sicily, Italy, in the Province of Messina, about midway between Messina and Catania, located 206 meters above the sea level on a hillside of monte Tauro, one of the last peaks of the mounts Peloritani. 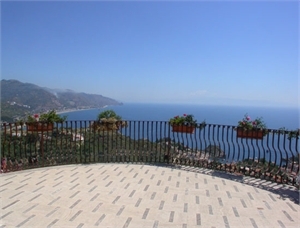 Taormina has been a very popular tourist destination since the 19th century. 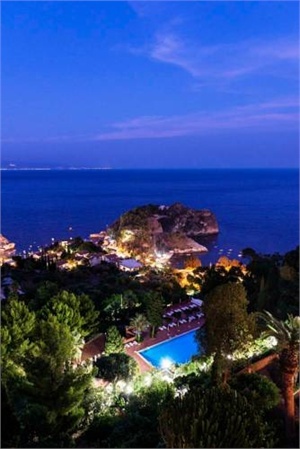 It has popular beaches (accessible via an aerial tramway) on the Ionian sea, which is remarkably warm and has a high salt content. 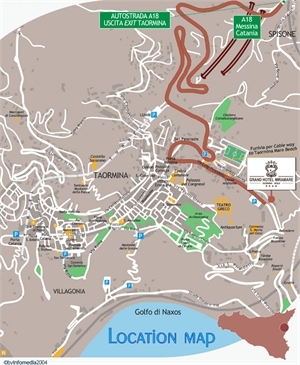 Taormina can be reached via highways (autostrade) from Messina from the north and Catania from the south.